Can research on meditation help bridge the gap between phenomenological and neuroscientific approaches to consciousness? Although consciousness continually resists a clear definition, there are roughly two principal approaches that populate contemporary western thought: the phenomenological and neuroscientific accounts of consciousness. Both offer a compelling perspective on the nature and function of consciousness, but before delving deep into these opposing schools of thought, we must first examine their epistemological roots. This view no longer holds weight amongst the majority of academics; there is much evidence and compelling argument against this false dichotomy that I don’t have time to go into here (although this video might help!). Where the notion of Cartesian dualism has endured however is in what can be described as the irreducible rift between our “inside” view of meaningful experience, and the “outside” reality of ostensibly abstract neural pathways that give rise to this “inside” experience (Metzinger, 2003). In other words, there is an explanatory gap between the first-person, subjective mental phenomena of our awareness and the third-person, objective, quantifiable biology from which consciousness emerges. Phenomenologist David Chalmers calls this the “Hard Problem” (1995). He takes a staunch anti-materialist stance, arguing that while we may some day explain consciousness, it will never be reduced to the level of functional substrates of the brain. In fact, when one attempts to break consciousness down into composite parts, a point comes where biological explanations cease to be adequate. 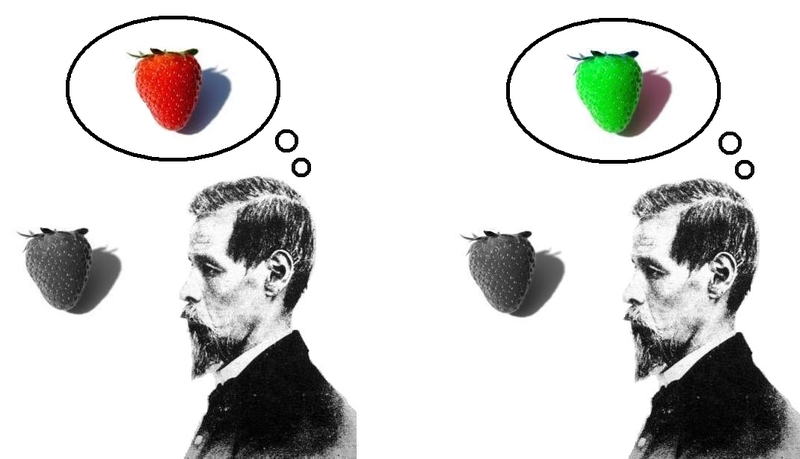 This non-reducible leftover is termed “qualia”, referring to our unique, subjective experiences, such as the way in which “sweetness” or “redness” appears to us individually. John Locke’s “inverted spectrum“: an example of qualia. Drastically opposed to this view, eliminative materialistssuch as neurophilosophers Patricia and Paul Churchland (1998) posit that there are no “qualia” as such; subjective phenomenalism is just an illusory cognitive epiphenomenon. This means that our subjective feeling of conscious control is a constructed after-thought to the vast, complex unconscious processes that are constantly occurring in the brain. Thus we are given the mere semblance of free will. Positioned somewhere in the middle, more moderate neurophilosophers such as Dennett (1992) and Hofstader (1985) concede that while subjective experience does indeed exist, “qualia” are not intangibly personal and can be adequately reduced to the material level. In their view, as neuroscientific research progresses, the mysteries of consciousness will gradually be revealed in full. From this post-Cartesian, neuroscientific perspective, consciousness plays a functional role, a regulatory mechanism akin to homeostasis. An eloquent authority on the subject, Antonio Damasio (1995) distinguishes three kinds of self that constitute consciousness. 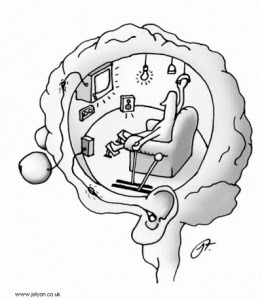 At the neural level, there is the non-conscious proto-self. This represents the pattern of neural impulses that, from moment to moment, regulate the body-mind organism in reaction to external objects that perturb homeostasis. The core-self is the next level up, the lowest form of awareness that observes the proto-self in the process of being modified by an external object. This produces a basic reflexive sensation e.g. “I can feel myself becoming irritated by something”. The idea of the core-self draws upon the concept of the transcendental “I” by the German idealist Fichte (1796/2000), where consciousness is not a pre-existing phenomenon reacting to external obstacles, but rather the phenomenological subject arises in the very interaction between outside objects and the internal activity that deals with this disturbance. The core-self is this very activity (Zizek, 2006). As will be discussed later, the core-self might therefore present a useful meeting point between neuroscience and phenomenology. Damasio’s third level of consciousness is the autobiographical-self. This is a more elaborated level of consciousness, relying on memories and past experiences, formulating imagined, anticipated futures; essentially our internal story-teller, rendering the first-order experiences of the core-self into personal narratives. This allows for a richer form of consciousness, featuring complex subjective emotions and beliefs. With Damasio’s “integrationist” model of consciousness in mind, there should exist potential avenues of research in the overlap between neuroscience and phenomenology. Part of the resistance towards integrating the two approaches is that many neuroscientists find it difficult to distinguish between phenomenology and true introspection. Introspection could be likened to the autobiographical-self, as there is an emphasis on subjective beliefs and emotions. For this very reason it is considered by neuroscientists to be biased and un-scientific (Nisbett & Wilson, 1977; Lutz & Thompson, 2003). 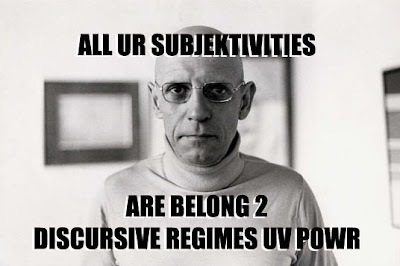 Contrary to introspection, phenomenology actually seeks to strip away culturally-biased narratives to achieve knowledge of what is termed the “essence” of consciousness: that without which the substance of subjective experience cannot retain its identity (Husserl, 1999). By “bracketing” assumptions of the existence of an outside world, the fast elaborations and beliefs that so frequently populate introspection are cut short (Varela, 1996). In this context, the interaction between the aforementioned proto- and core-selves may be of most interest for researchers as they are uncluttered by the elaborative excesses of the autobiographical-self. The existence of the proto- and core-selves has arguably been demonstrated in Libet’s early experiments using EEGto predict participants’ decisions before they reached subjective awareness (Libet et al., 1979). These experiments portray the core-self as a passive observer, becoming aware of the proto-self after the fact, and could appear to undermine free will, a foundational assumption of phenomenology. Libet himself actually defended free will throughout his life (1999), claiming that it exhibits itself in the ability of the core-self to veto the impulses of the proto-self. The core-self is thus characterised by intentionality, able to exert a degree of control over lower level impulses. Phenomenology’s roots share much in common with this particular neurophilosophical view. Husserl (1999), considered the founder of phenomenology, thought that the main characteristic of consciousness is that it is always intentional. Every mental phenomenon that has content is directed towards an object. On the basis of these theoretical parallels, the concept of neurophenomenology was introduced by Varela, a neuroscientist (1996). This view posits that by combining physiological data with rigorous first-person phenomenological reports in the Husserlian tradition (Lutz & Thompson, 2003); research will capture this core-consciousness that arises from the surface-contact between the “inside” and the “outside”. One particular research tool for neurophenomenology is the study of meditation. Meditation offers a useful platform for gathering both phenomenological and neuroscientific data (Lutz, Dunne & Davidson, 2007). There is often a misconception that meditation is simply a loose collection of unscientific beliefs. The reality is that traditions surrounding meditation have developed over a long period of time and, either through accident or expertise, have gathered valuable knowledge and practices that cannot be consulted elsewhere (Lutz et al., 2007). For this reason, there has been a particular focus on the Buddhist tradition of meditation. 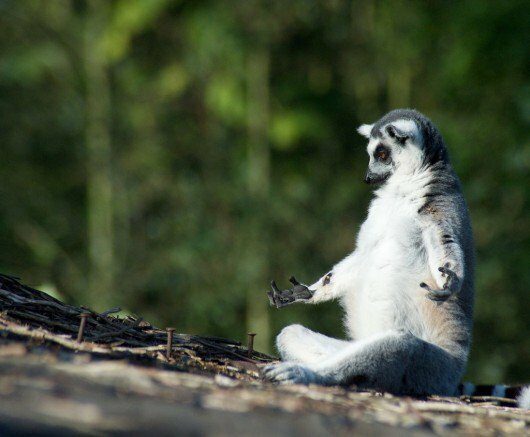 According to Buddhist scholars, meditation is a precise system of mental training in the observation of mental processes, with an emphasis on refining the skills required to investigate the mind from a first-person perspective, often considered a Buddhist “science of the mind” (Wallace & Hodel, 2006). Unlike other meditative traditions, Buddhism offers extensive, detailed theories about meditation practices that many researchers have found can be readily appropriated into neuroscience (Lutz et al., 2007). 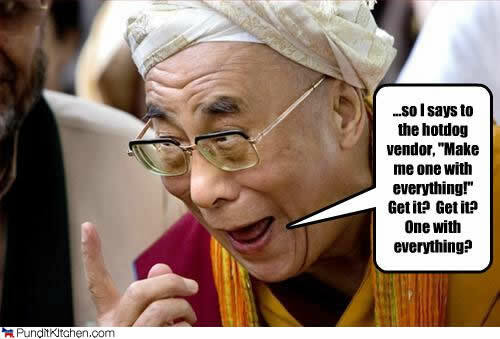 Hence there have been recent academic conferences between the Dalai Lama and western scientists to exchange thoughts on attention, mental imagery, and emotion (Barinaga, 2010). Two principal forms of Buddhist meditation of interest to researchers are Open Presence (OP) and Focused Attention (FA). In FA meditation, the practitioner must achieve a mental state in which they are focused unwaveringly on one object (Lutz et al., 2007). In order to achieve this focus one must resist arousal and distraction; dullness or excitement being undesirable mental states. This therefore implies that the mind must pay attention to the incoming stream of impulses that might disrupt focus. 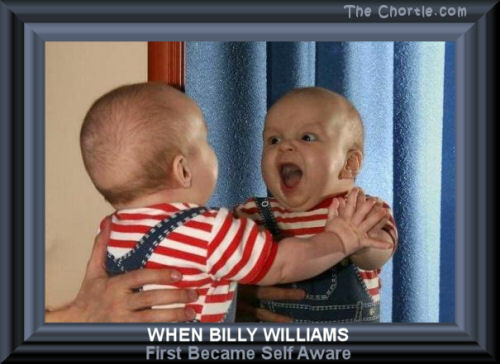 Becoming aware of the occurrence of distraction, the practitioner makes note of it in a reflexive thought e.g. “I am aware I am being distracted” and then returns focus to the intended object (Thrangu & Johnson, 2004). From a neurophenomenological perspective, this could represent a parsimonious exercise in bolstering the intentional core-self, exerting wilful veto power over the incoming impulses of the proto-self. Open Presence, in contrast to FA, does not involve an explicit attentional focus. Rather, the aim is to encourage a reflexive awareness of the ongoing stream of experience; hence this technique is sometimes referred to as Open Monitoring (Lutz, Slagter, Dunne & Davidson, 2008). There is no attempt to either suppress or encourage any particular mental content. One simply observes dispassionately the stream of consciousness (mental imagery, sensations etc.) as it occurs. This is similar to Husserl’s notion of the “disinterested subject” or phenomenalising “I” (1931/1960). This refers back to the notion of stripping away the autobiographical “interested” self to reveal the “essence”, the core-self, which does not engage with the oncoming thoughts and feelings. Its only minimal interest is in observing and describing what it “sees” (Damasio, 1995), i.e. the proto-self. Hence as practitioners develop their skill in OP, their aim is to cultivate an awareness of the invariant nature of experience (Lutz et al., 2007). Based on these two principal forms of meditation, Buddhist meditation offers attractive prospects to both neuroscientists and phenomenologists. FA and OP are designed to induce predictable, distinctive and reproducible states (Lutz et al., 2007). These states target separate underlying processes and thus are likely to engage different neural pathways; helpful for brain-imaging studies (Gaillard et al., 2006). Since there is a consensus that consciousness does not stem from activity in one specific brain region, most adopt a contrastive approach (Frith, Perry & Lumer, 1999). By observing the different reproducible states, contrastive networks of activation can be established. From the phenomenological perspective, experienced Buddhists are mentally trained to be able to observe the differential features attributed to each state and report this in great detail, even to the extent of being able to indicate how their stability of attention changed from trial to trial, what mental preparations they made etc. (Lutz et al., 2007). This means that neural correlates of consciousness can be supplemented by accurate verbal reports, all within the context of a specific tradition whose practices target meticulously documented phenomena. Additionally, practitioners of OP and FA are said to gradually increase their ability to induce the intended state over time, such that an expert would meditate in a superior way to a novice (Lutz et al., 2007). This further provides useful data by generating contrasts of activity between experts and novices in brain imaging studies. Indeed, recent neuroscientific studies of OP and FA have been fruitful. Buddhist scholars recognise as much as western scientists that the skills required for FA involve the monitoring of attentional focus, the detection of distraction, the ability to disengage attention from the distraction, as well as the re-engagement of attention to the intended object (Lutz et al., 2008). These attentional and monitoring aspects of FA have been found to relate to regions in the brain previously associated with conflict monitoring, as well as selective and sustained attention (Corbetta and Shulman 2002; Lutz et al. 2008). With regards to the intentional nature of consciousness, an early EEG study found that practicing FA may lead to a partial “deautomatisation” of the mental processes that interpret perceptual stimuli (Kasamatsu & Hirai, 1966), like turning off our internal auto-pilot and switching to manual control, to use a garish analogy. This would imply that meditation trains the practitioner to have increased control of the core-self where not only is awareness of proto-self activity increased, but the power to inhibit the impulses of the proto-self is strengthened. Conversely, since OP does not involve an explicit attentional focus, the same regions involved in selective and sustained attention should not be engaged, but rather those implicated in monitoring and disengagement of attention. Indeed, recent findings support this notion, indicating dissociable systems at work in the brain (Farb et al., 2007; Tang et al., 2007). Comparing expert practitioners with novices also yields interesting results. An fMRI study looking at experts and novices engaging in FA meditation found activity in the brain regions previously mentioned involving monitoring, engaging attention and attentional orienting (Brefczynski-Lewis, Lutz, Schaefer, Levinson & Davidson, 2007). What was interesting was that expert practitioners with an average of 19 000 practice hours displayed more activation than novices, while those with 44 000 hours of practice showed less; creating an inverted u-shaped curve of activation. This type of curve has been observed in other areas of expertise, such as language acquisition (Sakai, 2005), suggesting that at a certain level of expertise, little effort is needed to sustain attentional focus. It is unlikely that this drop in activation corresponds to a developed “numbness” where stimuli are simply ignored, as these experts had significantly more activation in auditory processing regions than did controls (Brefczynkski-Lewis et al., 2006). This might instead indicate that they are more attuned to their inner stream of consciousness but are less emotionally reactive to that content (Lutz et al., 2008). Unfortunately, without in-depth verbal reports by the practitioners, many of these claims remain speculative and cannot “bridge the gap” between phenomenological and neuroscientific approaches. While few studies have demonstrated a truly neurophenomenological approach, a recent study by Lutz, Lachaux, Martinerie & Varela (2002) provides a good illustration of the method. After training naive participants to become aware of subtle fluctuations in their attentive state and spontaneous thought processes, a simple visual task was presented. Electrical brain activity as well as first-person reports were recorded during the task. Brain activity was subsequently clustered according to similarities in the first-person data. Predictably, patterns of activity emerged that were separable by cluster. The detailed, moment-by-moment accounts helped to guide the analysis of dynamic fluctuations of brain activity. Despite the current lack of many neurophenomenological studies, a peripheral indicator of the value of meditation for further study is Mindfulness-Based Cognitive Therapy (MBCT, Kabat-Zinn & Chapman-Waldrop, 1988; Kabat-Zinn, Lipworth, & Burney, 1985).A central aim of Buddhist meditation is the elimination of suffering (Gethin, 1998). To achieve this, one must wilfully invoke changes in one’s cognitive and emotional states. MBCT draws upon this idea by encouraging patients to distinguish primary sensory experience from the secondary emotional reaction to this primary experience (Raffone & Srinivasan, 2010). By training themselves to directly perceive the contingent nature of their feelings of withdrawal and aversion towards psychological and physical pain, the patient can learn to counter these maladaptive responses. MBCT is now applied across a wide range of clinical populations and appears to be effective for chronic pain, anxiety disorders, general psychological well-being, psoriasis, and recurrent depression (Grossman, Niemann, Schmidt, & Walach, 2004). MBCT might therefore represent a successful integration of Buddhist meditation into western, research-based medicine. The apparent health benefits also suggest that neurophenomenology is correct to focus on the wilful core-self as the seat of consciousness. Finally, due to their phenomenological training, MBCT patients may embody ideal research participants for furthering the understanding of consciousness from this integrative perspective. It may however be a little presumptuous to claim that research involving meditation offers a flawless integration of neuroscience and phenomenology. Despite the effectiveness of MBCT and the extensive detail of reports by expert meditators, it is perhaps difficult for an individual to ever truly communicate what occurs during a meditative state. While one may be able to experience with clarity the “essence” of the core-self while meditating, when disengaging from the meditative state one must return to the inescapable “qualia” of the autobiographical-self. Perhaps it is impossible to avoid narrativising subjective experience when giving a verbal report. But then surely the apparent overlap between phenomenology, neuroscience and Buddhist meditation demonstrates the communicability of a precise, un-biased understanding of consciousness. Again this might be a flawed assumption. The ultimate goal of Buddhist meditation is to lose a sense of subject-object duality, demonstrating to the practitioner that there is no such thing as a fixed or absolute identity (Gethin, 1998). This eastern concept of “selflessness” is somewhat at odds with the western conception of consciousness as being self-reflexive and object-centred. An attempt has been made by Travis and Shear (2010) to incorporate this idea into the concept of “automatic self-transcendence”, but the definition is inadequate and reductive. 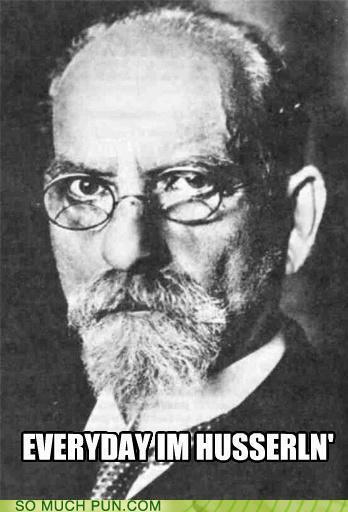 Likewise, phenomenology contains aspects that, while esoteric, imply that consciousness is transcendental; pre-constituted before it makes contact with the outside world (Husserl, 1931/1960). This contrasts with the neurophilosophical view of consciousness as emerging directly from the activity of the proto-self. Ironically this phenomenological view is not entirely dissimilar from the Buddhist concept of transcendental awareness, except that is written within the continental tradition of philosophy. It might appear therefore that neurophenomenology and its interest in meditation may simply represent an attempt to force several types of discourse into a path of least resistance; a reductionist approach that ultimately pleases no one. 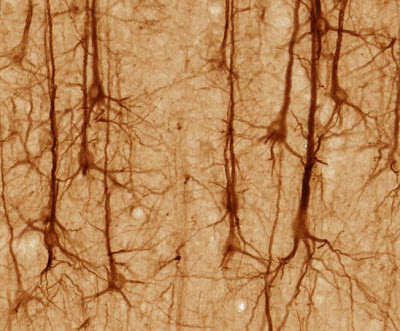 In the end, despite meditation offering undoubtedly appealing factors that could help integrate neuroscientific and phenomenological approaches to consciousness, perhaps the “hard problem” remains. Chalmers, a self-proclaimed naturalistic dualist, treats consciousness as a separate physical property that cannot be adequately explained in neurological terms. While undoubtedly a radical view, this nonetheless highlights the difficult issue of selecting which form of discourse best expresses consciousness. Despite the stimulating dialogue between neuroscientists, Buddhist scholars and phenomenologists, there may remain unbridgeable parallaxes of discourse that are irreducible to a consensual level of understanding. Brefczynski-Lewis, J. A., Lutz, A., Schaefer, H. S., Levinson, D. B., & Davidson, R. J. (2007). Neural correlates of attentional expertise in long-term meditation practitioners. Proceedings of the National Academy of Sciences, 104, 11483-11488. Chalmers, D. (1996) The Conscious Mind: In Search of a Fundamental Theory. New York: OUP. Churchland, P. M., & Churchland, P. S. (1998). On the Contrary: Critical Essays 1987–1997. MIT Press. Crick, F. H. C., & Koch, C. (1990). Towards a neurobiological theory of consciousness. Seminars in Neuroscience, 2, 263-275. Damasio, A. R. (1994). Descarte’s error: Emotion, reason and the human brain. London: Picador. Dennett, D. C. (1992). Consciousness Explained. Boston: Little, Brown. Descartes, R. (1901). Meditations on First Philosophy. (J. Veitch, Trans.). (Original work published 1641). Farb, N. A., Segal, Z. V., Mayberg, H., Bean, J., McKeon, D., Fatima, Z., & Anderson, A. K. (2007). Attending to the present: Mindfulness meditation reveals distinct neural modes of self-reference. Social Cognitive and Affective Neuroscience, 2, 313-322. Fichte, J. G. (2000). Foundations of Natural Right. (M. Baur Trans). Ed. Frederick Neuhouser. Cambridge: Cambridge University Press. (Original work published 1796). Frith, C., Perry, R. & Lumer, E. (1999) The neural correlates of conscious experience: An experimental framework. Trends in Cognitive Sciences, 3, 105–14. Hofstadter, D., & Dennett D. (Eds.) (1981). The Mind’s I: Fantasies and Reflections on Self and Soul. New York: Basic Books. Husserl, E. (1960). Cartesian Meditations. (D. Cairns, Trans.) Dordrecht: Kluwer. (Original work published 1931). Husserl, E. (1999) The Essential Husserl: Basic Writings in Transcendental Phenomenology Welton, D. (Ed.). Bloomington: Indiana University Press. Kasamatsu, A., & Hirai, T. (1966).An EEG study on the Zen meditation. Folia Psychiatrica Neurologica Japanica, 20, 315–336. Libet, B. (1999). Do we have free will? Journal of Consciousness Studies, 6, 47-57. Libet, B., Wright, E. W., Jr., Feinstein, B., & Pearl, D. K. (1979). Subjective referral of the timing for a conscious sensory experience: A functional role for the somatosensory specific projection system in man. Brain, 102, 191–222. Lutz, A & Thompson, E. (2003) Neurophenomenology: Integrating subjective experience and brain dynamics in the neuroscience of consciousness. Journal of Consciousness Studies 10, 31–52. Marbach, E. (2007). Towards integrating Husserlian phenomenology with Cognitive Neuroscience of Consciousness. Synthesis Philosophica, 44, 385–400. Ryle, G. (1949) The Concept of Mind. Chicago: University of Chicago Press. Tang, Y., Ma, Y., Wang, J., Fan, Y., Feng, S., Lu, Q., et al. (2007). Short-term meditation training improves attention and self-regulation. Proceedings of the National Academy of Sciences, 104, 17152-17156. Thrangu, K. T. R., & Johnson, C. (2004). Essentials of mahamudra: Looking directly at the mind. Somerville, MA: Wisdom Publications. Varela, F. J. (1996). Neurophenomenology: A methodological remedy for the hard problem. Journal of Consciousness Studies, 3, 330–349. Wallace, B. A., & Hodel, B. (2006). 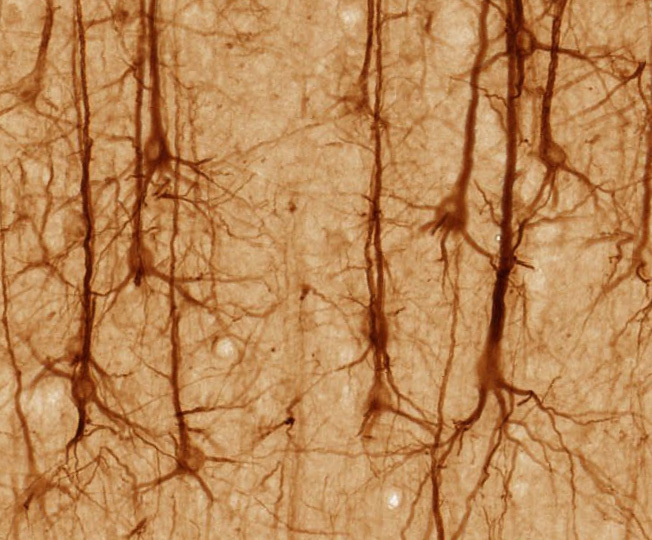 Contemplative science: Where Buddhism and neuroscience converge. New York: Columbia University Press. This entry was posted in Neuroscience, Philosophy, Psychology and tagged Buddhism, cognitive therapy, consciousness, MBCT, meditation, mindfulness, neurophenomenology, neuroscience, phenomenology, philosophy, psychology, unconscious. Bookmark the permalink. 3 Responses to Can research on meditation help bridge the gap between phenomenological and neuroscientific approaches to consciousness? It is also worth pointing out that the type of first-person data used by clinicians such as Antonio Damasio, Oliver Sacks or Erwin Strauss does not require the patients to have any special introspective training, but by getting patients to report on their state, this operationalizes a sort of clinical neurophenomenology. the PRACTICE of mediation would be much more efficacious in this gap-bridging .. Exactly what I was looking for, after reading various people on various sides of this issue for some years — and here it is, pulled together in 12 pages, with colorful illustrations no less. I have printed it and have my highlighter at the ready. Thanks. A recently retired psychotherapist, I also discovered last year an article on phenomenological psychotherapy that I wish I’d known of when it was published in 2005: “Reflections on Therapeutic Practice Guided by a Husserlian Perspective” by Barbro Giorgi in the Journal of Phenomenological Psychology, Vol. 36, Iss. 2, pp. 141-194, in case anyone else is interested.